In order to escape a drought and build a new life, Naomi, a woman in her middle years goes with her family to a foreign land. For a while things seem to be going well and her sons soon marry. But a dark cloud was hovering on the horizon. The darkness is marked by the death of her husband and later, her two sons. She is left widowed and childless, facing financial and social insecurities. Seriously, how much can one woman take? It’s not like she is a spring chicken anymore and there is no such thing as social security to draw on. So Naomi decides to return to her homeland. But, she doesn’t leave alone. Her daughters-in-law follow her. It is here when we encounter Naomi’s most courageous act. Smitten in grief, she extends grace as she commands her “daughters” to go back to their mothers, wishing upon them God’s covenantal love, faithfulness, mercy, favor, and kindness. In this moment of grief and grace, a young woman is moved to respond in true faith as she affirms, “your God shall be my God”—and the cloud of darkness begins to evaporate. 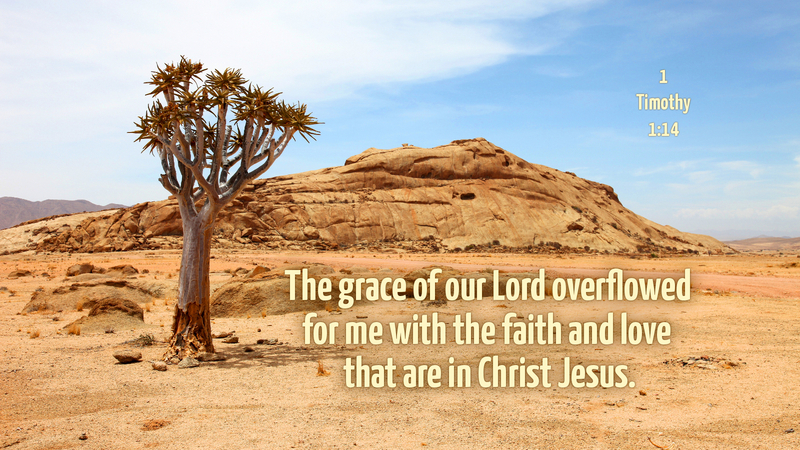 Prayer: Faithful and loving God, help us to also share grace in the moments of our deepest grief, knowing that you, Lord, are able to change hearts. Amen. Thank you, Pastor Punt, and hello from the Great Rivers District. Our God is full of wonder and grace that during times when we are grieving and troubled he chooses to change our hearts, growing them up in faith and courage, as we extend to the people he places near us, the same grace he gives to us.